A few quick mouse motions are all it takes to combine barcodes, text and graphics into professional quality labels. BarTender Professional gives you total control over your label's appearance, including the type and size of text, barcodes and graphics. Place objects exactly where you want them and control rotation as precisely as 1 degree. 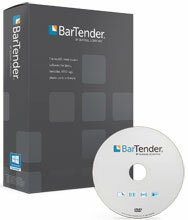 With BarTender Professional you're limited only by your imagination. We use the software to interface with our Aptean Axiom ERP software product. The labels were fairly easy to configure once you understood the type of barcode you wanted to use. The printer drivers have to be installed using the Seagull printer drivers you cannot let Microsoft search for a driver. Once the driver were installed labels were easy to configure. The Seagull BT-PRO is also known as Seagull Scientific	SEA-BT-PRO	or BTPRO	.